Everyone likes to stay protected and so does our Android phones. So, here is a list of top 5 security suits to keep you Android smartphone protected from spam and thefts. This should be the first priority among available security apps. It is available in two flavors that is paid and premium. Free version lets you scan for malwares, backup and restore your data online and to locate your phone when it is lost or stolen. And it also has been in the gossip for locating a stolen phone. You may have to shell out $3 per month for a premium version and get remote locking and wiping capabilities along with it. And the premium version also gives you information about the security level about the applications you use. If you want a real security thing, then you won’t regret shelling out some bucks. It is a Big name among the security tools. It scans all you apps, media and phone contents for any suspicious content and helps you to keep your phone malware free. And also freely available adds up to its points. Ability to scan links attached with mails helped me a lot. 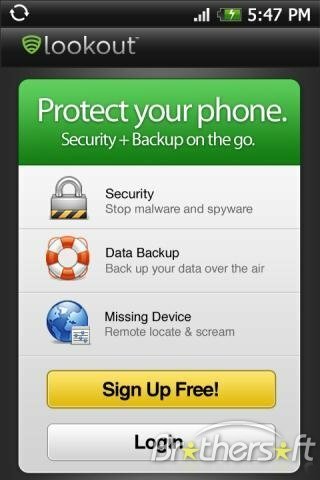 If you want to keep your phone protected and malware free, then it is a must go for you. We have a lot of information stored such as credit cards numbers, email etc. stored in our phone. So if your phone gets lost, then you need not to worry. A single text message would remotely lock your phone so that thief can’t enjoy Android Market on your money. You can also block you SIM card for frustrating the thief more as he would not be able to swap to another phone. It also scans for malware to keep your phone bugs free. If you want a free complete mobile security, then Norton is a superb choice. Though it seems to be sibling of Norton but you have to shell out $20 per year to enjoy it. Like Norton it gives you the ability to wipe down and lock your phone remotely but isn’t able to scan for Malware just like Norton. It backup your data and gives you the ability to restore it on any other device. It also has a nice security to track your phone when it is stolen. 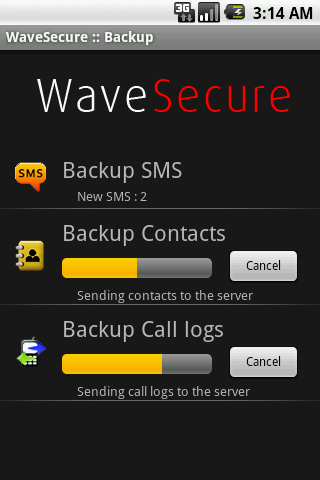 WaveSecure uninstall protection just adds gem to its security. It won’t let the mobile security app uninstall without typing a password, which makes it easy to track the lost phone. It seems to focus more theft security. With NetQin you can lock your phone, erase its contents and block it from illegal use. Nice app to keep your Phone theft free. Any favorites we have missed? Comment Section is below. what about new launch by ‘avast mobile security’ for android. will you please specify the top 5 free security apps for android. maybe we can do it! but in the above post we covered the best ones, doesn’t matter whether they are free or paid.